Australian heavy rare earths developer, Northern Minerals (ASX: NTU) has raised $10 million in a placement that was negotiated at a 4% premium to its last closing price. The funds will be used in the development of the Browns Range project which spans the Western Australian and Northern Territory border. At a stage when most mining companies are accepting a considerable discount for capital raisings, NTU has achieved an underwritten placement at 13.5 cents per share compared with its last closing price of 13 cents per share. The placement which management said received strong interest was underwritten by Hong Kong-based AMC Wanhai Securities. NTU has already received applications and cleared funds for the first $2 million of the placement. Importantly, the prospective earnings per share dilution based on the number of shares issued is less than 10%. The timing of the placement is important given NTU is approaching the Final Investment Decision regarding its Browns Range Pilot Plant Project. This is an early stage play and investors should seek professional financial advice for further information if considering this stock for their portfolio. Managing Director, George Bauk, noted the premium placement was not just financially beneficial, but an endorsement of the investment appeal of the Browns Range heavy rare earth project. 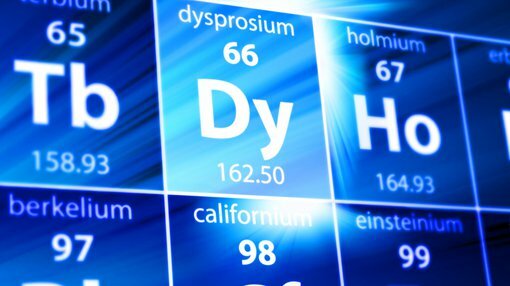 NTU’s key focus is on the production of dysprosium, an essential ingredient in the production of magnets used in clean energy and high technology solutions. With these applications being related to fast-growing industries, demand for the product is increasing. NTU has predominately traded in a tight range between 11 cents and 13 cents in 2017 after retracing from a 12 month high of 17.5 cents. While this trend could continue, one would expect an affirmative decision to build the pilot plant could be a share price catalyst.